Our Cheerleading Competition Trophy – 17.5" features fancy swirling column with gold accents in your choice of red, green or blue with a 6.5 inch star cheer figure on top. Shooting stars trim and a winged victory figure complete the trophy. At 17 ½ inches tall, this trophy is a great way to recognize a stellar performance! 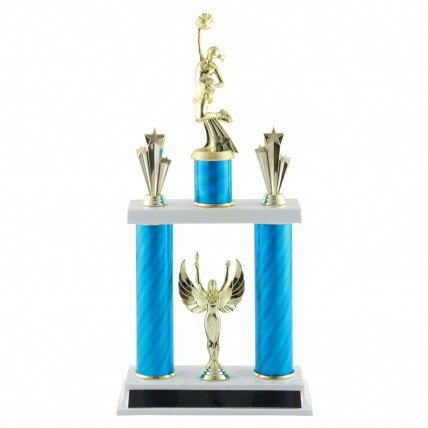 Cheerleading Competition Trophy – 23.5"